This entry was posted on November 24, 2009 at 2:09 pm and is filed under Color-and-Weave, Double Weave. You can subscribe via RSS 2.0 feed to this post's comments. I came across the idea of weaving a blanket like this in Rachel Brown’s Weaving Spinning & Dyeing book, before I had got a loom, and it’s one of the reasons I purchased a floor loom. I haven’t woven the blanket yet, but it is a goal of mine to do so and I’m very interested to see your use of colour and weave and the tips about avoiding a mark at the folded edge. Thanks Eva! Thank you, Dot, for your comment. I think it’s time (after 26 years!) 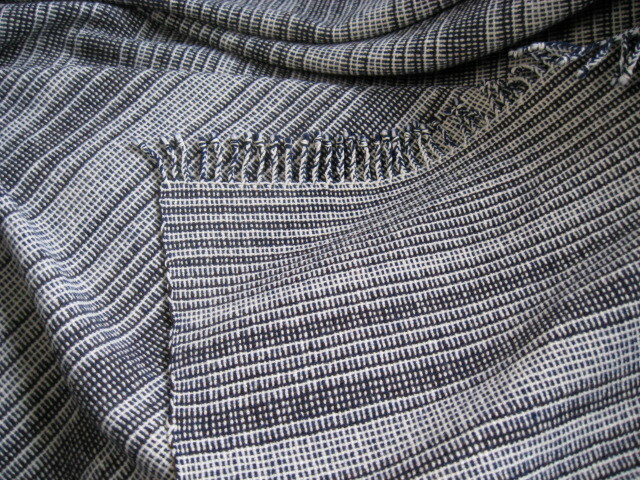 for me to weave another blanket using the new tips I learned on how to improve the technique. The Rachel Brown book is one of the first weaving books I bought, it’s inspiring and full of beautiful hand-drawn illustrations. 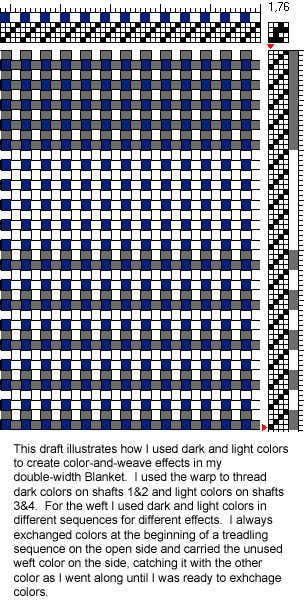 Blankets and doubleweave are both on my list of things to try, so it’s great to see this post with another beautiful example of your work and lots of resources about doubleweave! Thank you, Sue, I do appreciate your comment so much! Doubleweave is one of my favorites and it’s also on my list to explore some more. I too have always wanted to try weaving a double width blanket. (I have a 40 in. loom) But Ive been so disappointed that with only 4 harnesses I can only do plain weave. 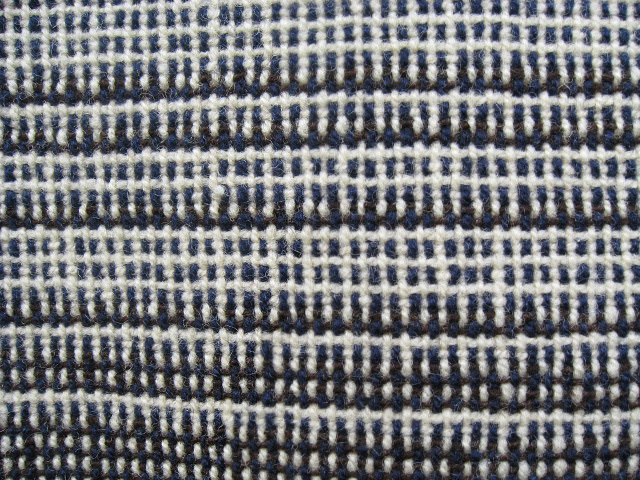 Looking at your post I realize now that plain weave does NOT mean boring! Thanks so much for this post. After the rush of Christmas projects, doubleweave is next! I’m so glad you discovered that plain weave can be exciting. Thank you, Anna, for commenting.